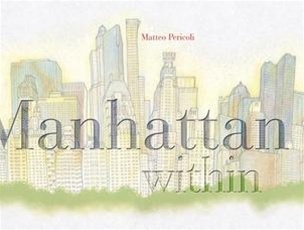 This set by Matteo Pericoli, the best-selling artist-architect of “Manhattan Unfurled” (Our Price: $30.00) includes: A full-color 22-foot-long drawing, in an accordion fold-out format, which provides an amazing 360-degree view of the Manhattan skyline as seen from within Central Park. Includes a separate, enlightening personal journal about the method, philosophy, and evolution of the work — an unprecedented, dramatic re-envisioning of the relationship between the city and its geographical center and escape. A visual legend and diagram identifies the city’s landmarks and streets. “[Pericoli’s] prose, as it turns out, is as evocative as his art,” writes Booklist in a review. A white-bearded gentleman who appears at the Macy’s Thanksgiving Day Parade fills in for an unfit Santa Claus — and is asked to become the store’s resident Santa. This Kris Kringle believes he is Santa, as do children from all over the city, and reindeer at the zoo nearby. Since its first publication in 1947, this tale has been treasured by generations, making this Academy Award-winning story part of holiday traditions all across America. This facsimile edition faithfully re-creates the first hardcover publication. A brief historical note, new in this edition, details the simultaneous development of the book and film. Also included in this boxed set is an original keepsake wooden ornament that kindles warm memories — perfect for sharing with new generations of believers. “Lovingly reproduced to match the original 1947 printing, this handsome hardback edition of Miracle on 34th Street comes in a gift box with a painted wooden tree ornament,” writes Amazon.com in a review. “[W]hat makes this gift-box edition interesting is a short note describing the book’s production, which happened at a frantic pace–Davies fairly credits director David Seaton for much of the book’s inspiration, and over 400,000 copies were rushed through to premiere simultaneously with the film. On Aug. 16, 2009 in New York City, at 10:18 p.m., a large section of the arched brick ceiling at the 181st St. Station on the IRT 1 Line fell onto the platforms and tracks. Fortunately, no one was injured by the falling bricks, and subway service to the station was immediately suspended. New York City Transit (NYCT) then temporarily secured the ceiling to protect customers and trains from additional falling debris and reopened the station for subway service on Aug. 31, 2009. The objectives of this audit report were to determine whether NYCT is: Adequately conducting structural inspections of its stations; Properly coordinating station inspections; and Performing structural inspections of all stations and station components on a frequent, regular basis. Illustrations. In 2006, New York City (NYC) established a multi-disciplinary Child Fatality Review Team to examine unnatural deaths in children ages one through 12 and to identify strategies for prevention. Past reports have described the predominant causes of fatal child injury in NYC including traffic crashes, fire and burns, and unintentional injuries in the home. This 4th report analyzes individual and neighborhood disparities in fatal childhood injuries. These findings show that fatal injuries occur disproportionately among younger children, boys, black non-Hispanic children, and children in the City’s most impoverished neighborhoods. This report identifies social, environmental, and regulatory measures that could make NYC an even safer place for children. Illustrations. Despite budget deficits and calls by health advocates, soda taxes have failed to pass recently in New York, Philadelphia, Vermont, Mississippi, Kansas and Alaska, the New York Times reports. The link between high U.S. obesity rates and the over-consumption of added sugars, largely from sodas and fruit drinks, has prompted calls for a tax on caloric sweetened beverages (CSB). Faced with a tax, consumers may reduce consumption of these CSB and substitute non-taxed beverages, such as bottled water, juice, and milk. A tax-induced 20% price increase on CSB could cause an average reduction of 3.8 pounds of body weight over a year, for adults and an average of 4.5 pounds over a year, for children. Given these reductions in calorie consumption, results show an estimated decline in adult overweight prevalence and obesity prevalence, as well as the child at-risk-for-overweight prevalence and the overweight prevalence. Charts and tables. In May 2010, after years of opposition and recent pressure from the Obama administration, Jamaican Prime Minister Bruce Golding last week reversed his stance and okayed the extradition of alleged drug king pin Christopher (Dudus) Coke to stand trial in New York, reports the New York Daily News. Today, Coke was captured, reports the Christian Science Monitor. “Extradition” is the formal surrender of a person by a State to another State for prosecution or punishment. The U.S. has extradition treaties with over a hundred nations, although there are many countries with which it has no extradition treaty. International terrorism and drug trafficking have made extradition an increasingly important law enforcement tool. Contents of this report: (1) Intro. ; (2) Bars to Extradition; (3) Constitutionality; (4) Procedure for Extradition from the U.S.: Arrest and Bail; Hearing; Review; Surrender; (5) Extradition for Trial or Punishment in the U.S.; (6) Alternatives to Extradition; Waiver. Append. : Countries with Which the U.S. Has a Bilateral Extradition Treaty, and those with Which the U.S. Has No Bilateral Extradition Treaty. 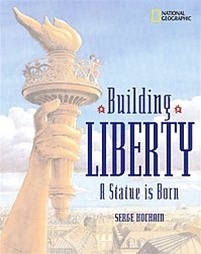 Did you know that Statue of Liberty did not begin her life in New York? The extraordinary construction of the Statue of Liberty began in France in 1875, and with the work of many people, was completed 11 years later on the other side of the Atlantic Ocean in New York. Join a cross-Atlantic adventure with four boys — Italian construction worker Leo, French sailor Fanch, African-American newsboy Benjamin and Irish ironworker Angus — as they help to build one of the world’s most famous landmarks. 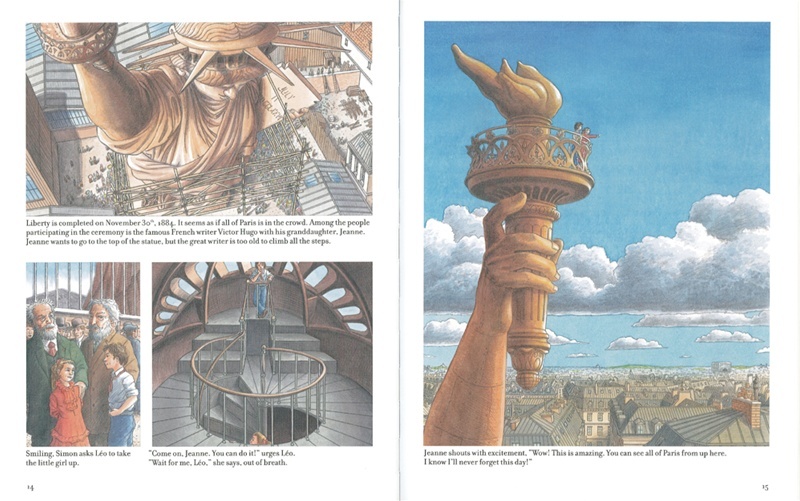 Also includes a step-by-step illustrated history of the statue’s creation (with captions) from Bartholdi’s sketch pad to its completion.